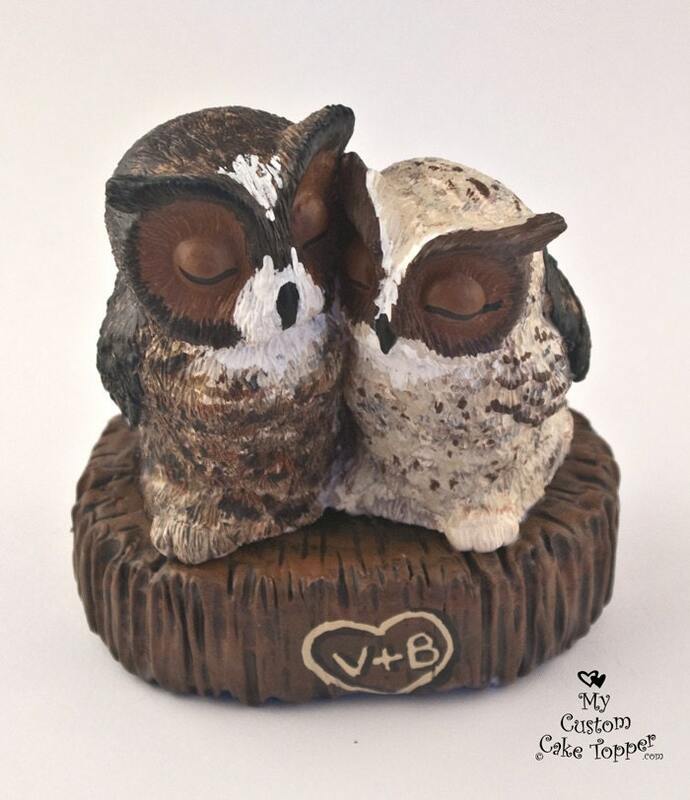 Owl Cake Topper. 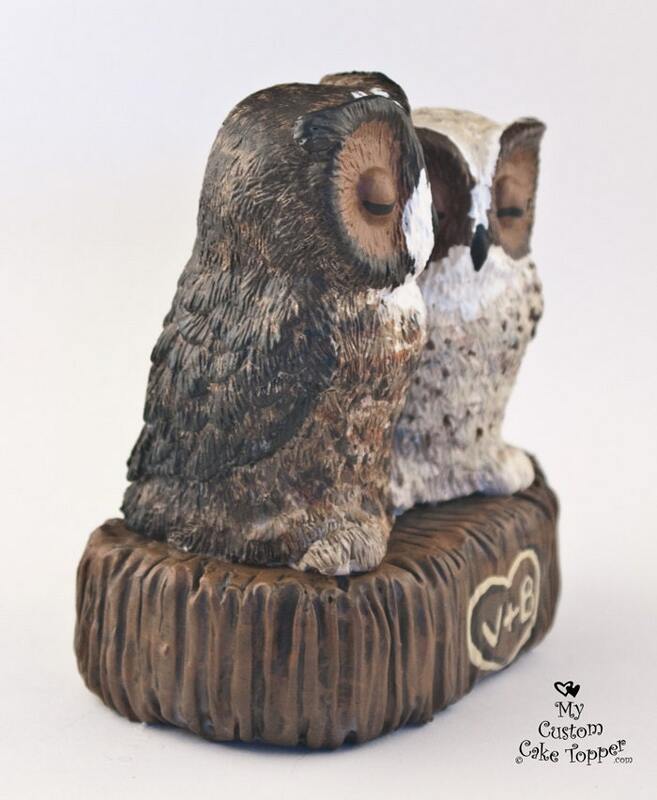 Gorgeous realistic owls, perched on a stump. 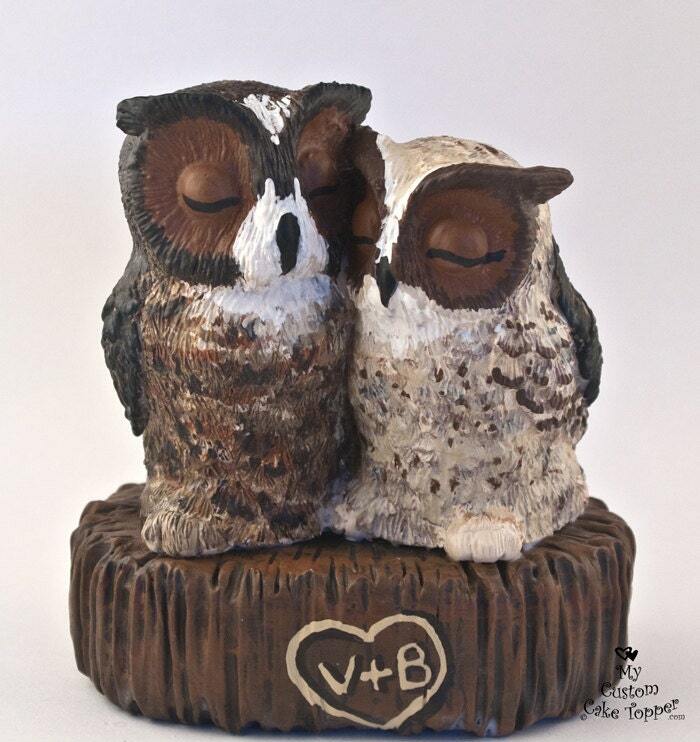 My works are non-toxic and can last a lifetime if taken care of properly, a perfect keepsake from your special day. This cute topper is approx. 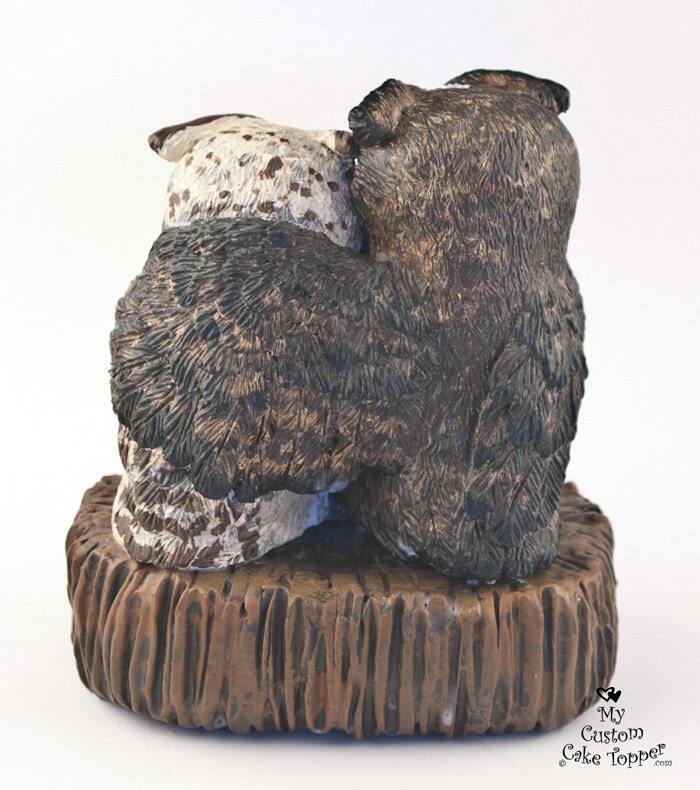 4.5" wide and 5" tall with the stump, and 4" wide and 3.75" tall without the stump and fits on a 6" round. I can add your initials with a heart onto the wood at no extra cost. The patterns and colors of the feathers will vary as it is hand painted. Every sculpture is made to order and is unique, so it might vary slightly from the examples shown. 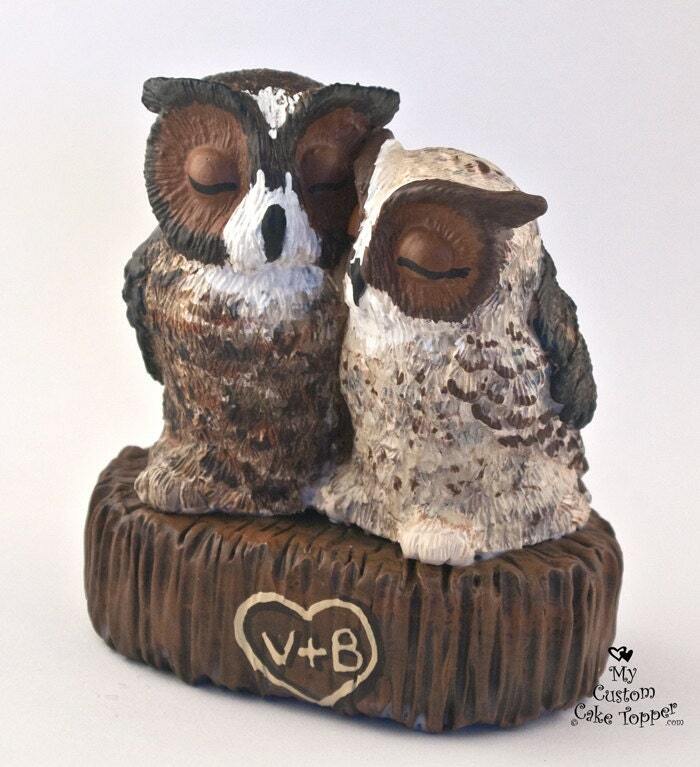 These beautiful owls are hand cast from my original sculpture, hand painted and detailed.